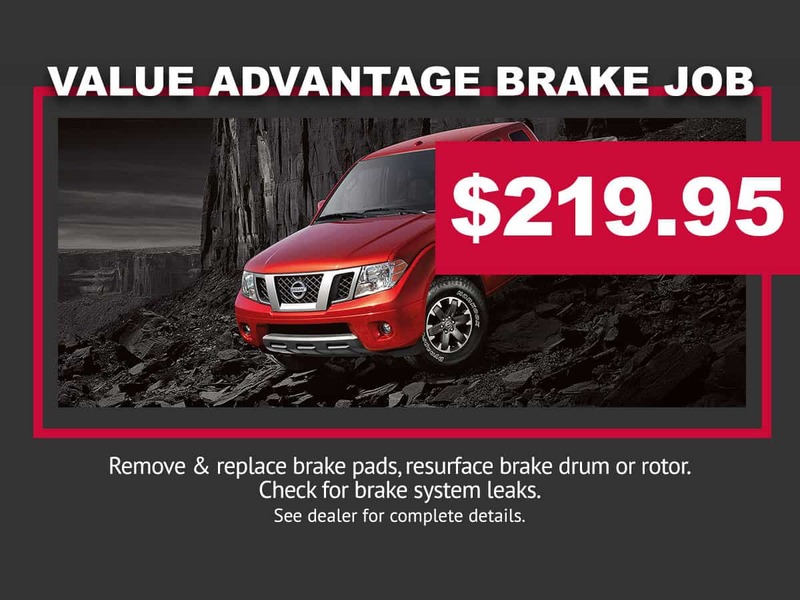 Value Advantage brake job includes: remove and replace brake, resurface brake drum or rotor, and check for brake system leaks. *See dealer for complete details. Internet special. Must present coupon at write up. Offer Expires 01-31-2020.